Find out if we thought Cuphead delivered both style and substance. After years of anticipation, Cuphead is finally here to test the reflexes and skills of gamers everywhere (well, on Xbox One and PC, at least). The game’s retro art style was enough to attract players in droves, but is Cuphead’s gameplay as impressive as its animation? The answer depends on your level of masochism. Let’s start off by talking about the game’s aesthetic appeal, since Cuphead’s 1930s-inspired art direction is one of the game’s main draws. Everything about Cuphead screams “classic”, from its jazzy tunes to the grainy film overlay. 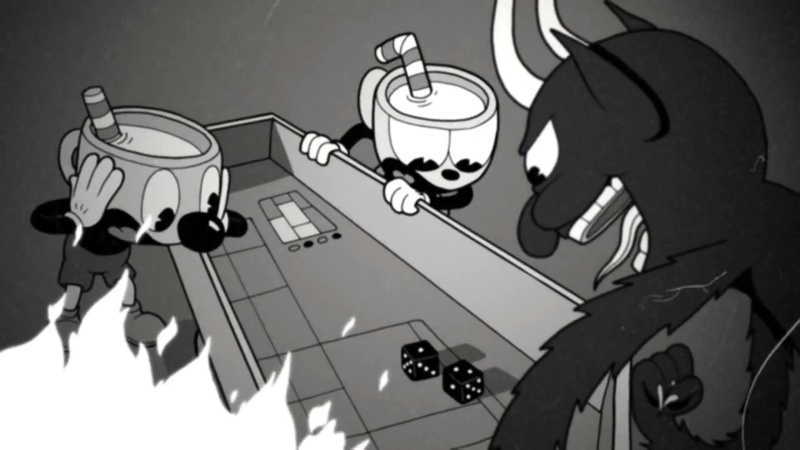 Though inherently anachronistic, Cuphead feels deceptively authentic to the era it draws from. The game’s high quality, hand-drawn animations make each boss battle feel like a clip straight out of Merrie Melodies. 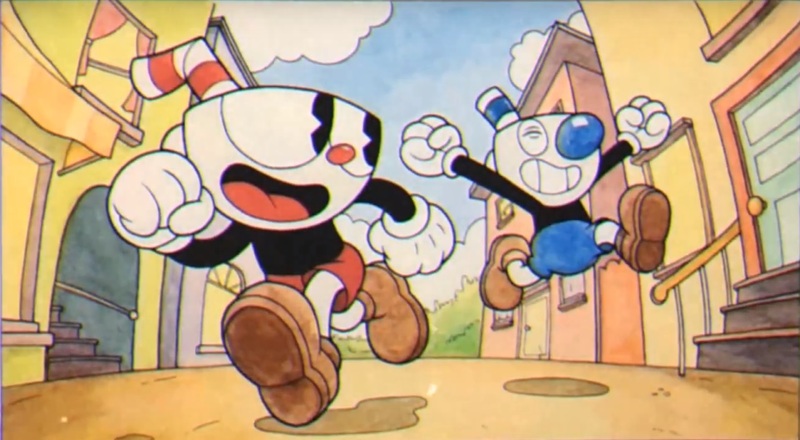 The novelty of Cuphead’s throwback art style end up making the game feel fresh, mostly because it is. 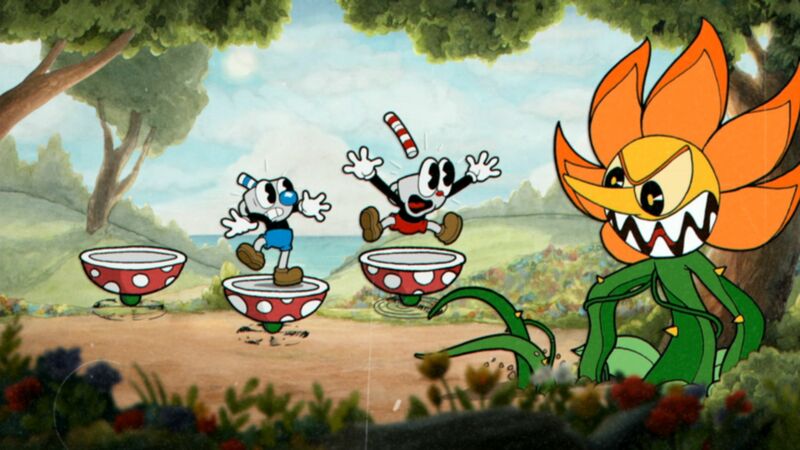 Few other game designers are brave enough to try an art style like Cuphead’s, save for theMeatly with Bendy and the Ink Machine, though the two hardly fall into the same camp. Studio MDHR was brave to attempt such a nuanced art style, but their risk was worth it. 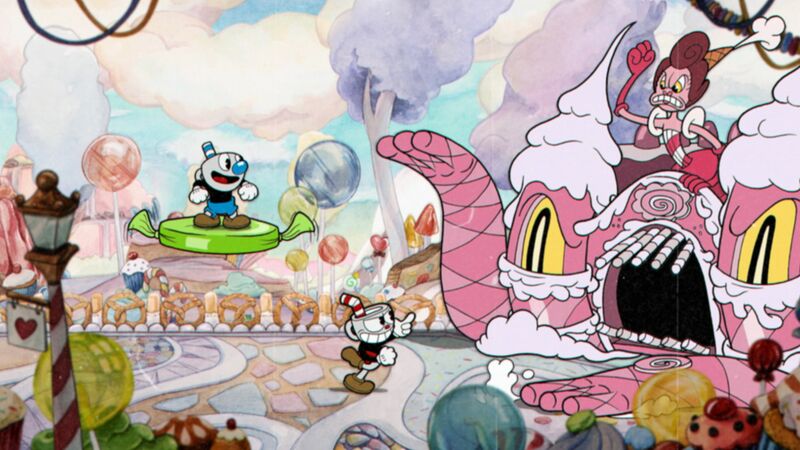 After careful consideration and feedback, Cuphead’s creators chose to incorporate platforming stages into a game that initially only consisted of boss battles. Cuphead’s final product is a bit like Titan Souls mixed with Super Mario, done up with a classic Disney cartoon aesthetic, as haphazard as that sounds. The boss battles are still aplenty, but the occasional platforming stage offers additional means for players to hone their skills. Some of the platforming stages even feature a mini-boss at the end, which for some reason threw me for a loop the first time I encountered them. The overworld map also allows for a bit of exploration, with NPCs scattered about to act as preludes for certain stages or encounters. 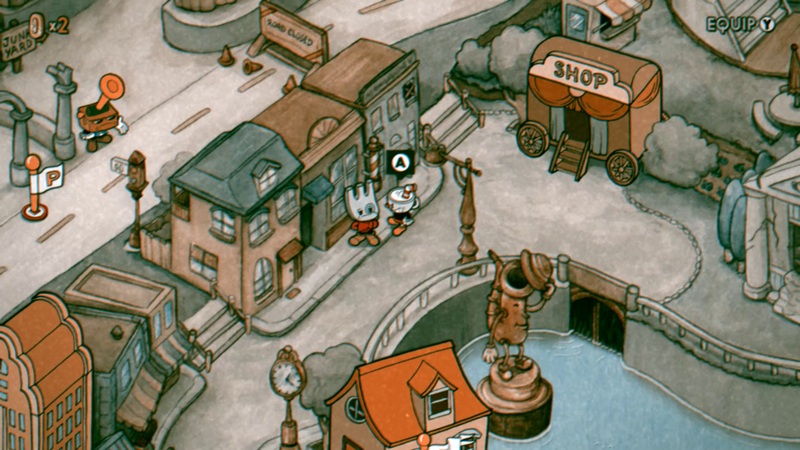 These details are nice, though it left me wanting to experience Cuphead and Mugman’s world in greater depth. After playing through the first few stages in World 1 and getting the hang of the control scheme (which wasn’t as unintuitive as some players make it out to be), the gameplay loop in Cuphead starts to emerge. Whether you’re facing a psychedelic carrot or a vicious carnation, success in Cuphead (unsurprisingly) comes down to patterns and reflexes. Upon discovering a new boss or platforming level, you’ll have to repeat the stage several times to internalize the pattern and predict what to do next. As you start to get the pattern down, you’ll slowly realize you’re making progress, and with enough dedication, you’ll conquer the level. That’s not necessarily where Cuphead’s replay value comes from, however. The game can be absolutely brutal at times, especially for those who aren’t used to the challenging difficulty of early arcade games from the 90s. Button mashing won’t get you anywhere. Like a rhythmic ballet, Cuphead requires awareness, dexterity, and precision, and those who heed these virtues are rewarded for their efforts. I’m using the term “reward” a bit loosely here, as Cuphead rewards players in a more abstract sense of the term. Your reward isn’t a shiny new weapon or bauble, but merely a reprieve from punishment. It’s the relief you feel from getting to finally relax your sore hands after a nerve wracking boss battle, and the excitement that swells from knowing there’s another more difficult boss just around the corner. In a sense, liberation is your reward, the subtle rush that comes with completing each challenge. Just as Cuphead and Mugman must work to free themselves from their deal with the Devil, you must strive to overcome the game’s inherently unforgiving nature. I typically have an aversion to games that are overly difficult or where I find myself feeling overly defeated. Personally, Cuphead is one of those games that walks the fine line between being masochistically fun and sitting incomplete in my game library. If you’re the type of person who doesn’t typically play punishing platformers, then you should go into Cuphead knowing that you will get mad. Like, throw-your-controller-at-something-valuable mad. I see you, and I understand those frustrations. However, that doesn’t mean that Cuphead doesn’t deserve your attention. 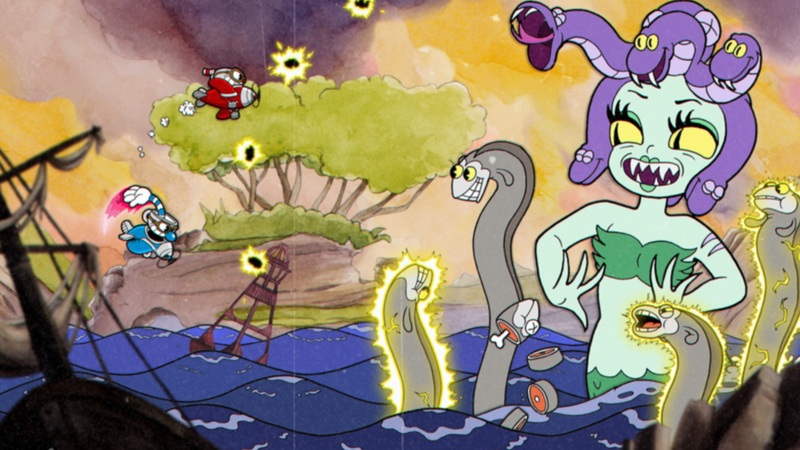 Maybe it’s the jazzy show tunes, or perhaps it’s the throwback nostalgia, but there’s something about Cuphead that keeps drawing me back, and every day I find myself completing another stage or besting another boss that I previously gave up on. Cuphead can be downright brutal at times, but it can also be rather therapeutic. Does the game get frustrating? Sure. Should Cuphead be any less difficult? Absolutely not. If you’re a digital thrill-seeker looking for a challenging game, then you’ve probably already beaten Cuphead. So, for those who are apprehensive, I say go for it. 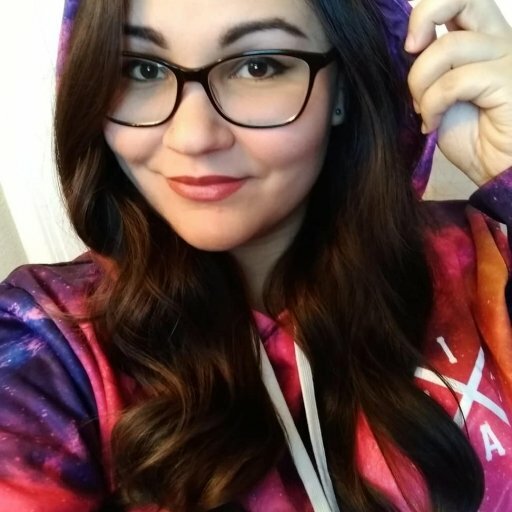 Give Cuphead a try. If you fail, just know it’s all part of the Devil’s plan.